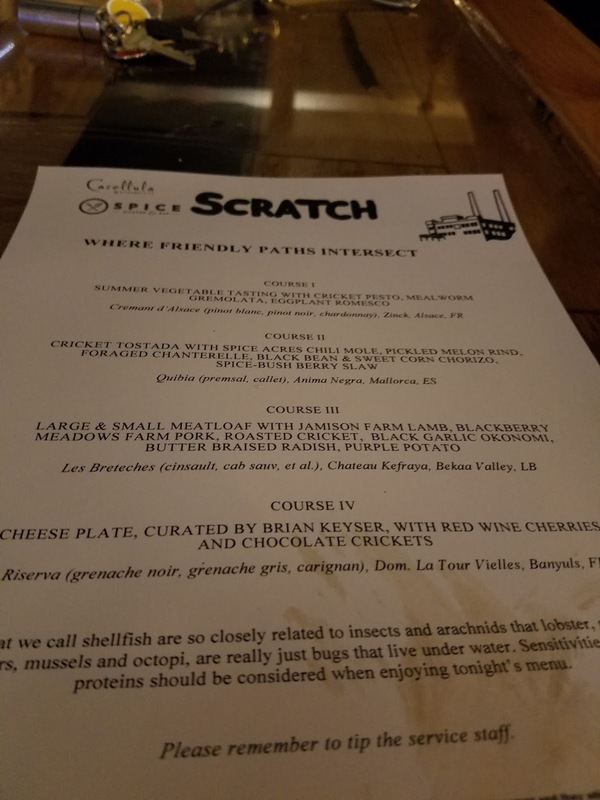 Earlier this year Scratch Food and Beverage hosted an insect dinner that was among one of the most interesting meals I've seen offered around Pittsburgh in a long time. I cannot say that I am very well versed in the world of entomophagy. I've never found eating insects to be particularly offensive or strange, I've just never had the opportunity to indulge. For anyone who is nervous about trying new foods, I recommend the book, "Strange Foods" by Jerry Hopkins. It provides a wonderful introduction to expanding your palette. 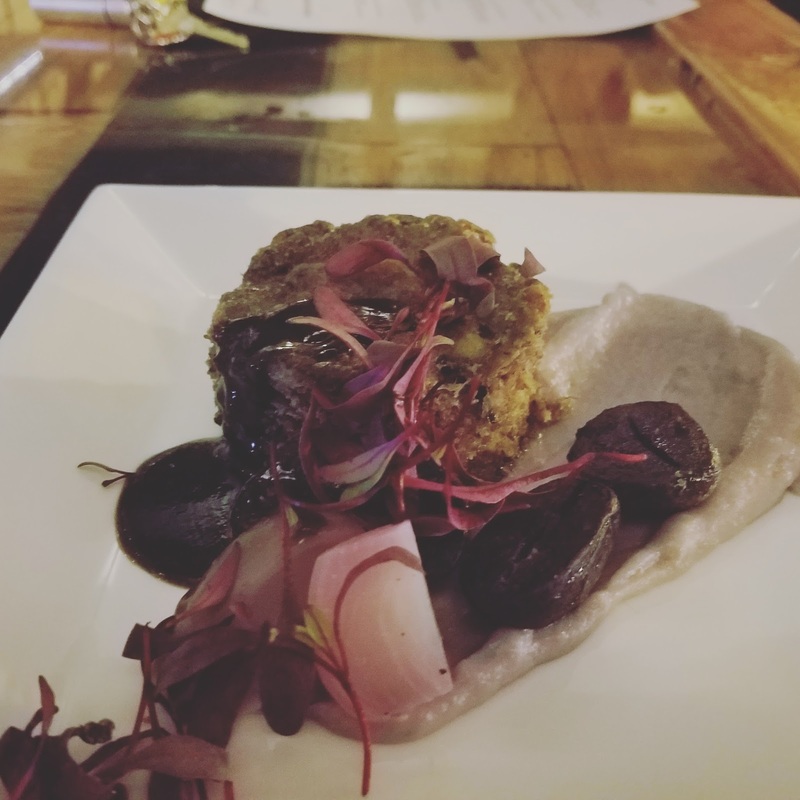 The meatloaf was made with a blend of lamb, pork and cricket and it was one of the most robust and flavorful courses of the evening. Served on a bed of purple potatoes and black garlic, I honestly could not even notice how the crickets were incorporated. While this speaks to the versatility of crickets, I believe this also diminishes their inclusion as well. 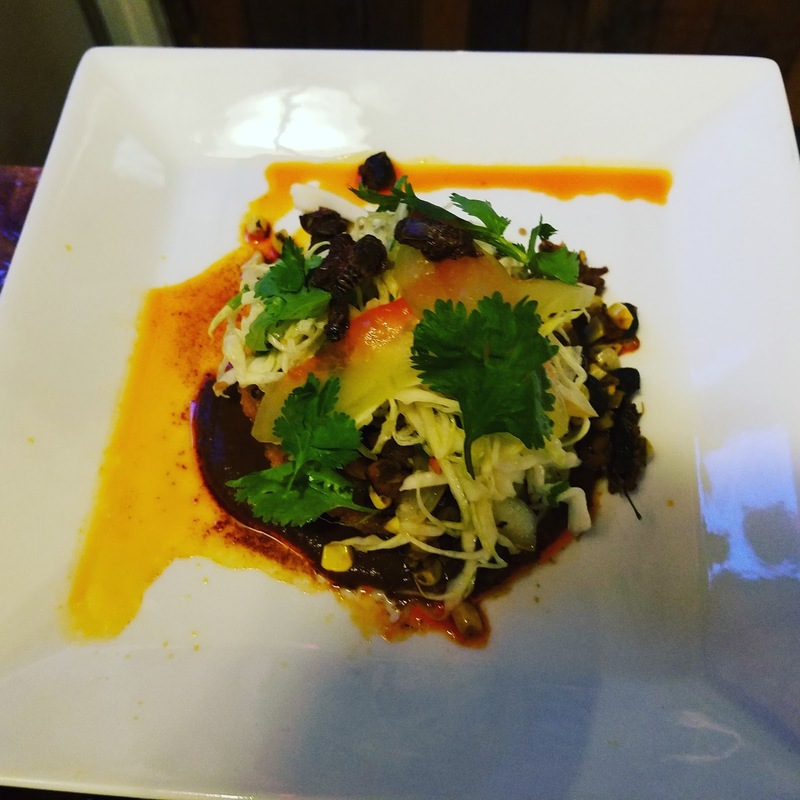 It's always a great idea to focus on sustainable food practices - but the best part of dining is savoring unique flavors and textures. Although this dish was fantastic, the crickets could have been replaced with almost any type of foodstuff. The tostada was also excellent and did a better job of featuring the insects. The crispy crickets paired perfectly with the mole sauce and chorizo. They added a much needed crunch to this wonderful dish. As I finished my tostada a small gnat found its way onto my plate. As I shooed him away from my dinner I found myself having quite the existential moment.